It’s easy to label PHE as an outsider subject – “Not that important” or it’s euphemistic cousin “non-academic” are two phrases I’ve heard to describe the subject. However, this post is not about the overwhelming importance of PHE*, but rather about a fantastic model for teaching and learning one of our outstanding PHE teachers has been using in her class and why others should follow the same model, regardless of the discipline. Students are asked to start with a goal – do they want to be able to run faster? Jump higher? Lift more? Lose weight? This is the tuning-in phase where students have the chance to ask themselves, “What would I like to accomplish, as a result of my learning”? By beginning with a student-generated goal, the learner is naturally placed at the centre of all experiences, as each phase of the learning is a means for the student to accomplish tangible results. Let’s assume a student’s goal was to be able to increase their cardiovascular endurance. Well, the first thing they would need to do is establish, what their current level of endurance is. In order to do that, the student needs to determine a way to measure not only where they are at currently, but also how they are improving over the course of their program and where they ended up well all was said and done (the infamous Beep Test is the method I saw most students select for this goal…yikes). By identifying their own method of measurement assessment, the student is taking ownership over their own development and ultimately their own sucessess and/or shortcomings. Too often, we as teachers are so concerned with “assessment design” that we rob students of the opportunity to decide for themselves how they would like to track their starting point, progress and ultimate success. Here’s where content comes in – not as the impetus for learning, but rather as a means to achieve a tangible goal – and driven, not by teacher demands, but by students’ curiosity. For our example student, they would want to know – what is cardiovascular endurance? How does it work? What body systems are involved in the processes of building endurance? How can nutrition play a part in developing endurance? What type of excercises are most efficacious for building endurance? As students generate these inquiry questions, the teacher is given an opportunity to provoke deep thinking and introduce the student to new knowledge by using their previous understanding (assessed based on the questions students generate on their own) to nudge them towards new understanding (by suggesting new directions for their inquiry). The teacher and student work in partnership to develop the skills necessary to learn what is needed to acheive the ultimate goal. 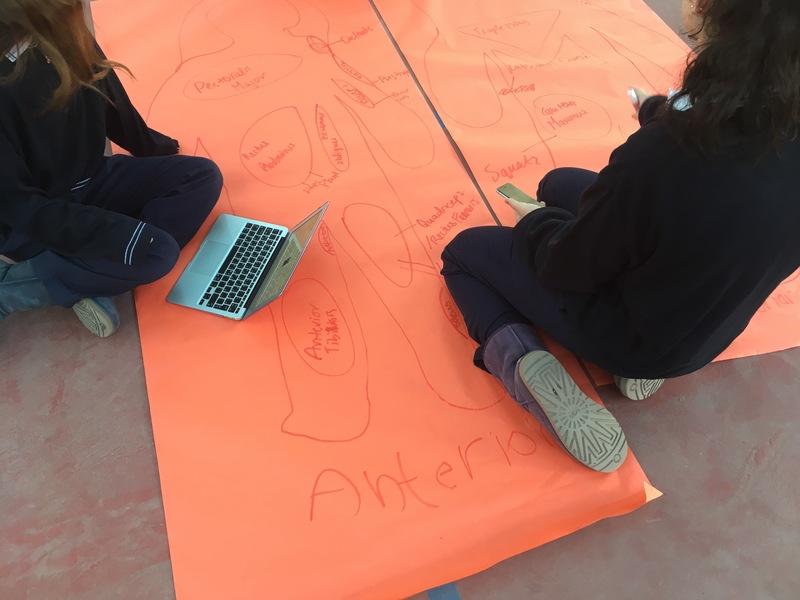 In our PHE example, the student could be supported in developing information literacy, methods for testing hypotheses, synthesis of information, identification of reliable sources and how to document them, developing an action plan, practicing perseverance, reflecting on the process and products of learning etc. As the main driving force for using these approaches to learning skills is goal-driven, student ownership is more present – they are learning and using these skills because it will help them acheive their goal, not because they’ve been told to by an adult who set the learning goals on their behalf. This is the most important (and most fulfilling) step for both the teacher and the learner. Students are asked to reflect on their goal – how did it go? Did you reach your goals? Why were able to achieve your goal? Why not? What did you learn – about yourself? About your body? About learning? Now that you’ve developed this new understanding, what further action could you take? Here, the opportunity presents itself for students to see learning as an ongoing and valuable process – not just something you do at school because you have to. Start with a goal. See where you’re at. Learn some new stuff. See where you ended up. Bask in the glory of learning in order to acheive something real. Start with a goal. See where you’re at. Learn some new stuff. See where you ended up. Bask in the glory of learning in order to achieve something real. While this approach would certainly require a more “academic” subject teacher to let go of the, “everyone needs to be learning the same thing at the same time” stranglehold over the learning in their class (sometimes easier said than done from a management standpoint), the transfer of ownership from teacher-established goals to student-established goals fosters a naturally differentiated environment where learners are empowered by their own hopes and curiosities. Using this inspiring model from our PHE team, teachers of any subject can take pride in supporting students to achieve something that actually matters to them. How could you apply this model to your subject? What roadblocks would you anticipate? *Does that even need to be argued? It’s Physical and Health Education: two aspects of life that could comprise an entire education system. When we look at the issues caused by the rise in obesity, the suffering experienced by those with mental health concerns and the fact that a solid understanding of how to establish and maintain physical and mental wellbeing is the corner stone of preventative health care, one could argue that long exalted subjects like calculus, physics and classical literature are “not that important” in comparison to PHE. A beautifully simple way to support learner agency in any discipline. Help students identify what they want to learn/be able to do. Help students figure out where they are now, where they want to be and how they will know if get there. Help student figure out and acquire the knowledge and skills needed along the way to achieve their goal. Help students reflect on and celebrate their learning journey. Learner-centered… learner-driven… teacher supported.